Bottom Line: A bright and juicy Montepulciano; classically old-world with a drying palate. 87 • Cantina Colle Moro NV Frizzante, Terre di Chieti IGT 11.5% (Italy) $13.99. 92 • Martin Ulisse 2015 Signature Collection, Montepulciano d’Abruzzo 13.5% (Italy) $18.99. 84 • Martin Ulisse 2017 Trebbiano d’Abruzzo DOC 12% (Italy) $11.99. 88 • Martin Ulisse 2017 Montepulciano d’Abruzzo DOC 12.5% (Italy) $11.99. 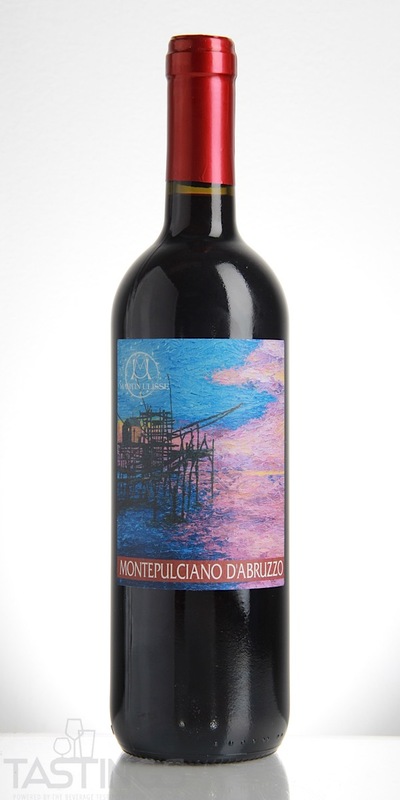 Montepulciano d'Abruzzo is a red wine from the Abruzzo region made exclusively from the Montepulciano grape. Often light purple in color with aromas of blackberry and other black fruits, most examples are medium-bodied with medium-weight tannins and distinctive black pepper and spice notes. 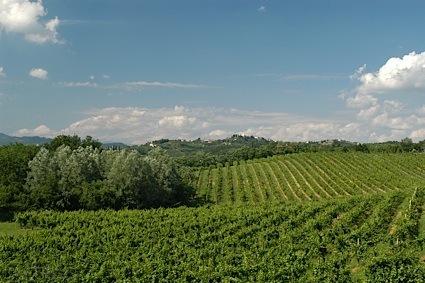 Most examples of Montepulciano d'Abruzzo are made by large cooperative producers; these wines are light and offer simple pleasure. Enjoy these wines young and fresh. A handful of smaller producers have begun to craft more full-bodied, age worthy versions of this wine; many of these are aged in small oak barrels. The best examples from traditional producers can stand the test of time, as they drink well for twenty to thirty years. Martin Ulisse 2017 Montepulciano d’Abruzzo DOC rating was calculated by tastings.com to be 88 points out of 100 on 9/5/2018. Please note that MSRP may have changed since the date of our review.